The remains of the ancient city (Tipaneai or Aipy) are located on a hill of the Lapitha Mountain, South of the village called Platiana (district of Olympia). 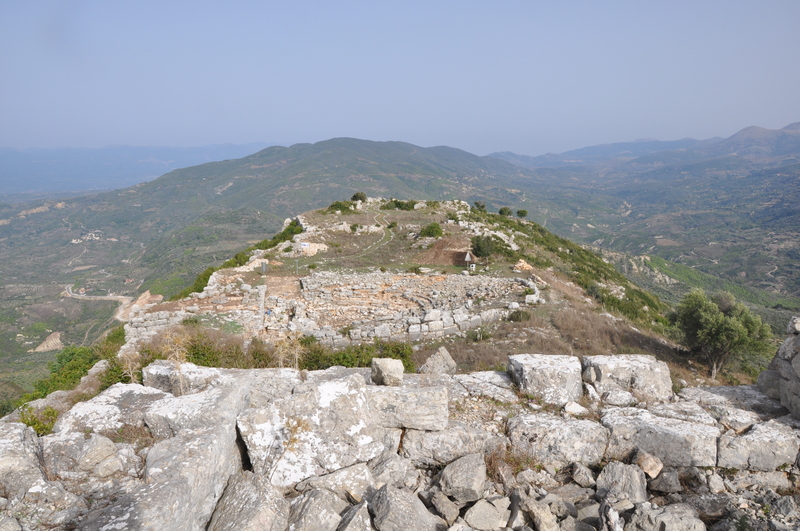 This fortified, oblong city (max length: 600m, width: 200 m) is surrounded my walls, which probably date to the 4th or 3rd century BC and are preserved in quite good condition (reaching 5m in height in some places). Three large gates are set in the North-West, South-West and East side of the walls-the latter being the main gate. 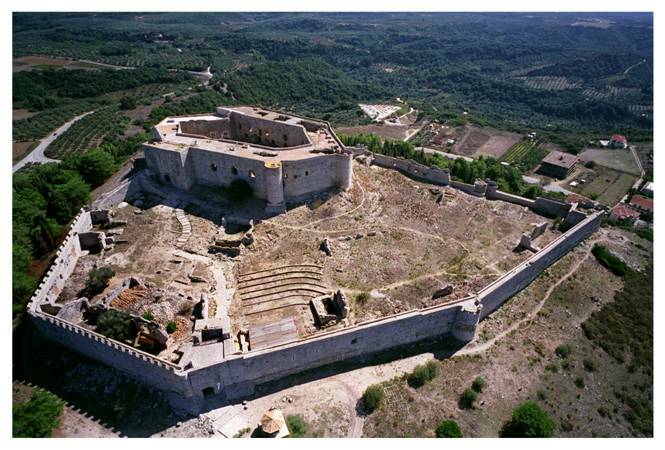 There are also several square or trapezoidal defensive towers. 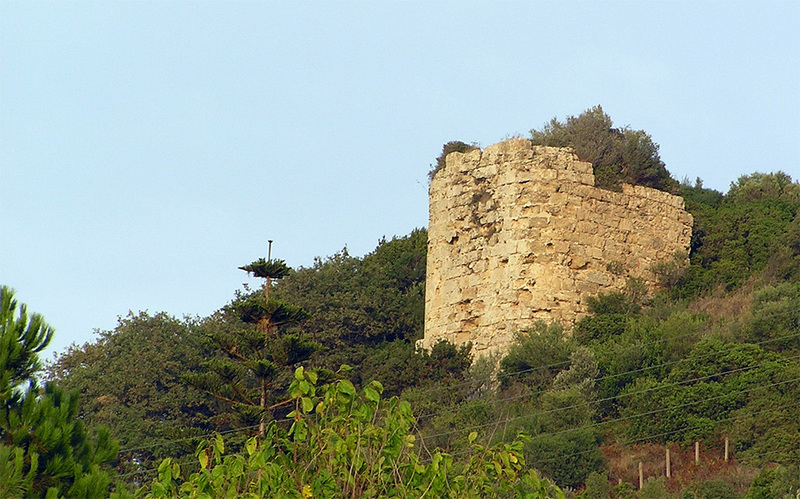 The walls are built of large blocks in polygonal masonry. 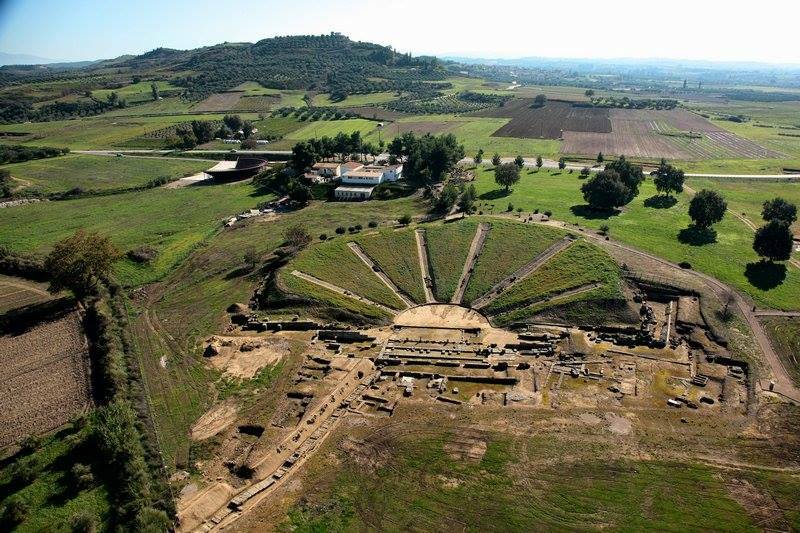 One of the terraces is occupied by the theatre, whose stage-building and cavea are partially preserved. On the other terraces one can see: a) the “Acropolis”, b) the “Agora” with a large cistern carved in the natural limestone rock, c) the retaining wall of the “Temple”. In the East part of the city are the foundations of several different buildings, which may be houses of distinguished persons of the city. 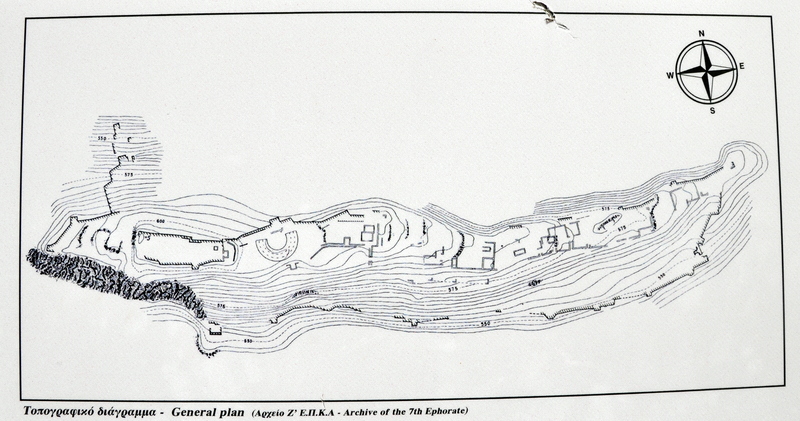 Systematic works at the acropolis were conducted during 2002-2003 by the 7th Ephorate of Prehistoric and Classical Antiquities. In the beginning of the 7th century BC, the Spartans captured Phigaleia and the inhabitants abandoned their city to save themselves. 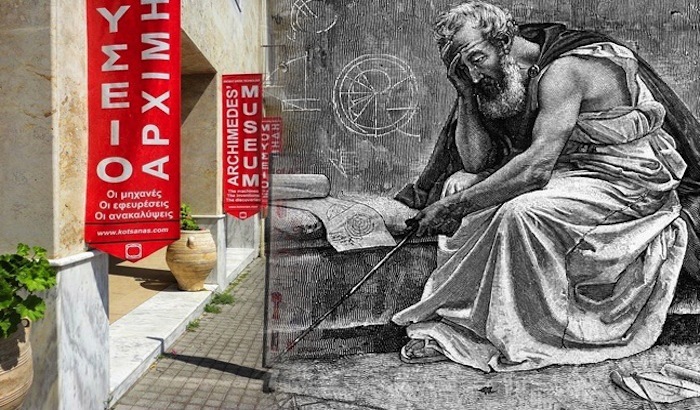 They consulted the oracle of Delphi to learn how they could recover their city. The oracle told them that they had to fight the Spartans hiring one hundred warriors from a neigbouring city and that god Apollo would help them as well. When the people of Phigaleia were restored to their homeland, they wished to thank Apollo for assisting them in returning to their native city. Thus, 8 km from their city they built, on a natural plateau, a temple dedicated to the god (Apollo the Helper). The first temple of Apollo Epikourios was made of wood. 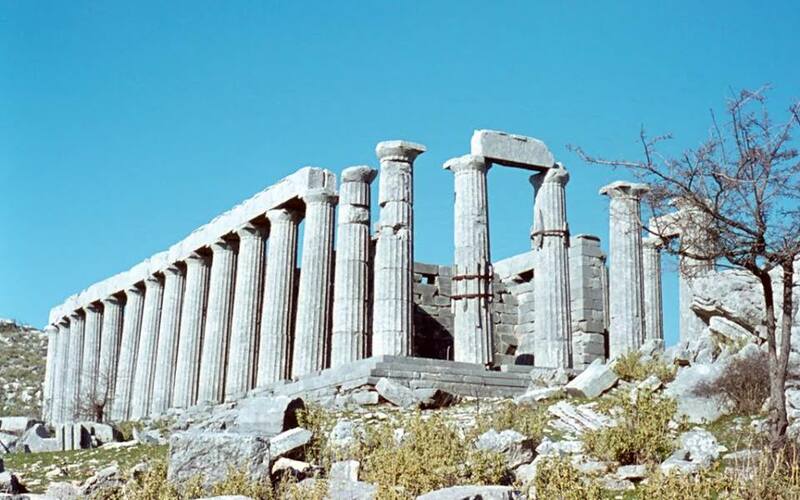 A few centuries later, during the fifth century BC, when Apollo saved them once more from the plague, the inhabitants decided to call Ictinus, the architect from Athens, to build them a new temple so as to satisfy Apollo once more. This remote temple is situated high up in the mountains at a height of 1130 m. The fact that it is so well preserved has partly to do with the inaccessibility of the area. In other areas they would have used the temple material to build their houses or churches. The temple escaped both these fates since it was not easy to get here. In the autumn of 1987, the monument was covered with a temporary canopy. The tent was constructed to protect the temple against the elements (weather can be quite rough at this altitude). The temple, as we see it today, was built during the 5th century BC by the very famous architect from Athens, Ictinus (the same architect who built the Parthenon). The building material used for the temple is the local limestone and what makes this building really special is that it combines all three architectural orders (Doric, Ionic and Corinthian). Apart from all the special architectural features of the temple, it is worth seeing how technology has been applied in order to preserve the temple. For example, a network of special devices has been set in place to record seismic events and the behavior of the individual parts. If you decide to visit, ask the guard to show you the documentary which explains everything about the restoration project. 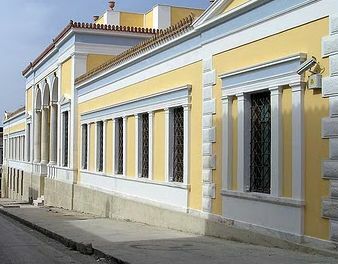 Before entering the Municipal Museum of Pyrgos, make sure you walk around this beautiful neoclassical building and admire one of Ernst Ziller’s architectural accomplishments. What used to be the city’s marketplace, now houses many impressive finds from this prefecture. See the boar’s tusk helmet; a similar one (according to Homer) would have been worn by Odysseus. Admire the costume jewellery from the late bronze era (1600-1200bc). These pieces are 3000 year old but they would sit proudly on the style pages of a glossy magazine. Other findings really worthy of seeing are the ancient “safety-pins” and the ancient “thylastra”, baby feeding bottles. 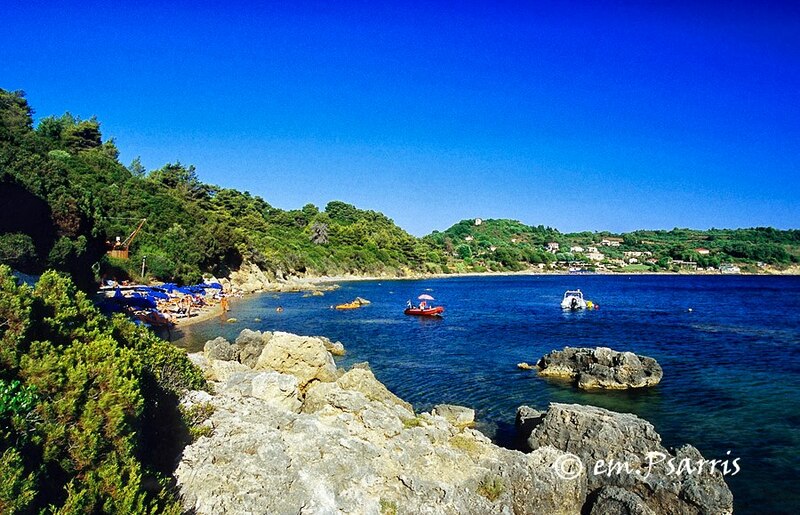 Ancient Elis (58 km from Olympia) was the city which had, under its supervision, the organization of the Olympic Games. One month before the games, all the athletes and trainers had to gather there to train under the supervision of the local judges. They would see if the athletes were good enough, otherwise they were excluded from the Games, and they would divide them into categories. Of course, in those times, they didn’t have birth certificates, so they would determine which category they belonged to from their built and body hair. Two days before the Games began, a procession set out from this city-state and all the athletes and trainers had to walk the whole distance to Olympia (58 km). Imagine how tiring it must have been to walk such a distance before even competing in the stadium. This procession was meant as spiritual cleansing, to prepare themselves psychologically for the religious games they were about to take part in. At the site, the remains are scattered and, with the exception of the theatre, considerably neglected. 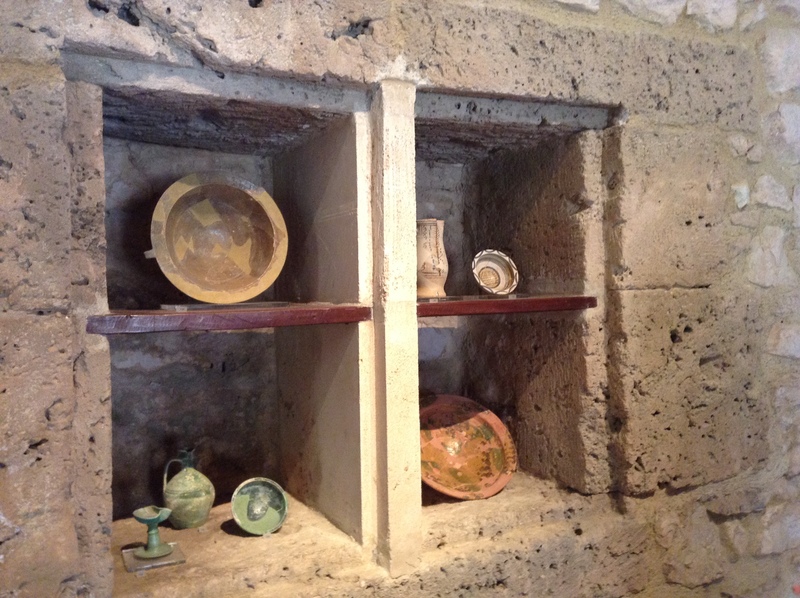 There are also remains of training facilities, a marketplace (agora) and roman baths. 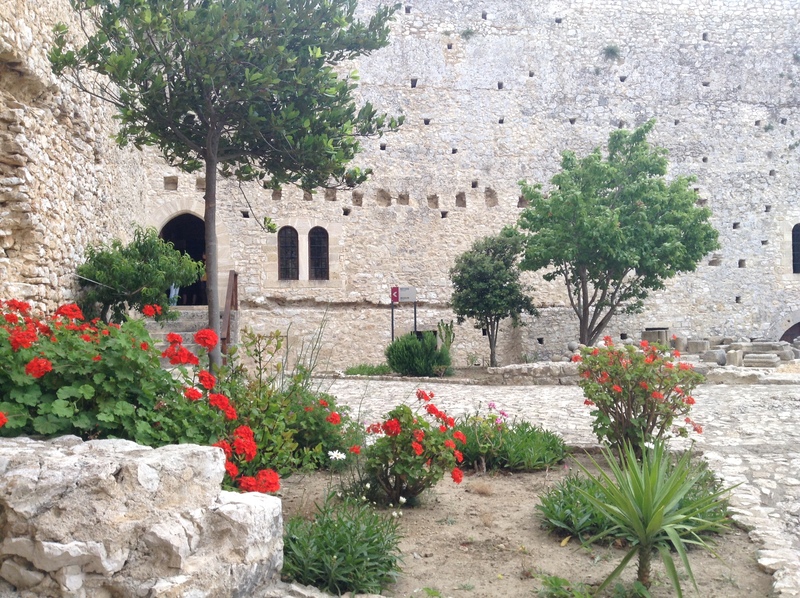 During the summer a theatre festival takes place here and people from all over the area have the opportunity to watch ancient tragedies, comedies etc. under the moonlight. Find out that women in antiquity were just as vain as they are today since a large number of bronze mirrors and jewellery pieces were found in the archaeological site.